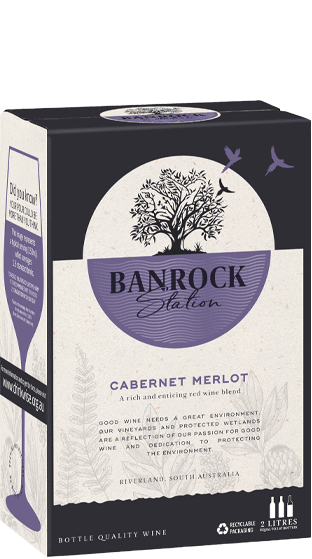 Tasting Note: The Banrock Station Cabernet Merlot displays pronounced vanilla pod, dark plum and fresh black cherry aromas. This a well-balanced merlot flaunts a palate of rich, juicy, ripe black cherries with dark plums and sweet spice. The oak in this wine is well integrated and has very fine, soft tannins and a very good length.